Gambling is synonymous with gangsters. 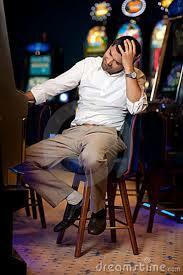 There are plenty gambling hideouts nesting in shop houses as well as in hidden spots around towns across the country. Sometimes you will be confused to see a coffee shop which is intentionally differentiated by two portions to front a gambling den at the rear. It holds nothing inside but computer equipment, slot machines and a few women mending a multi million Ringgit gambling activity. Normally the coffee shop at the front is served by a Mamak or an Indonesian. Judging by the patrons who visit the coffee shop we can take for granted that they are the perpetual addicted gamblers, and surprisingly they are majority Muslims. These sorts of hideouts are normally not licensed, and as the shops are often raided by the authority and but re-opened in the couple of days later, so then, I am really confused about this kind of arrangement. I don’t know that the closing and re-opening of the spots within a few days was the standard operating procedure to put right to the gambling addiction or substance abuse. I am confident that this business venture is a lucrative one for the operators and by not paying taxes could make tons of money. As far as I know the only gambling spot that pays taxes is Genting Highland Casino, and closing these spots in the towns will eventually boast more patrons to Genting. Today, the agency has raided all premises over the country in hope to slam the ridiculous and unhealthy multi million joints for a few days. As we were informed, the directive was directly from top government officials. This is Ramadan month, and Muslim is observing a fasting month and it is timely that the authorities’ have the will to crack down these joints which have hundreds or thousands live beyond their means a very long time, thus contributing to higher household debts. According to some security analysts, the closing down will eventually increase petty crimes within the city center, when unemployed patrons will have to go up to Genting Highland due to addiction to gambling. This closure will eventually add pressure to the police force which requires extra staff. The force however is unlikely to work on a rehabilitation programme of known perpetual addicted gambler as it is very uncommon in this country. Hope that there are several responsible NGOs which will start a social work for the community seriously in the rehabilitation of the known habitual gamblers. Something has to be right, and that something is to close down all unhealthy joints which by the numbers of raided shops owned and run by the majority urban Chinese. Hope, this time they will be closed forever. This entry was posted in DAP, Everything Else, Giler people, Living Styles, Tough Life by Admin. Bookmark the permalink.